Coun Richard Taylor is standing for re-election in Featherstone next month. A Labour councillor has been suspended over a series of abusive online posts he made about senior Tory politicians. 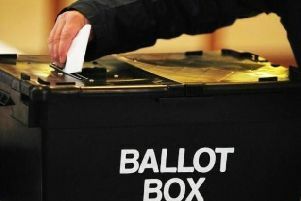 Richard Taylor, who is standing for re-election in Featherstone in next month’s local elections, has had his party membership temporarily withdrawn pending an investigation. Coun Taylor, a former mayor of Featherstone, had used a derogatory term to describe Prime Minister Theresa May in a post on his Facebook page in January. He then used the same word while posting links to articles about Work and Pensions Secretary Esther McVey and a meme featuring Tory MP Lucy Allan. The posts are no longer on public display. He was not available for comment on Thursday morning. Labour sources confirmed Coun Taylor had been suspended from the party. Due to election procedure, Coun Taylor cannot be prevented from running as a candidate because nominations for the local elections, which will be held on May 3, have closed. His name is already on the ballot paper for postal voting forms which are in the process of being sent out to homes in Wakefield. Laws prevent local authorities from suspending councillors themselves, but they can be removed from any committees or panels they sit on. The leader of Wakefield Council, Coun Peter Box said: “Aggressive and abusive language is unacceptable and should have no place in politics. It will not be tolerated in Wakefield Council. I am extremely disappointed by the comments made by Coun Taylor, which do not in any way reflect the way this Council, and our residents, expect elected members to conduct themselves.